How to place a line in front of each number in a numbered list so that the items can be checked off. This process also works in Word 2013 & 2010. Step 1:Create a list in Word.Step 2:Highlight the whole list. Right click on it and choose Numbering, then choose your number style. 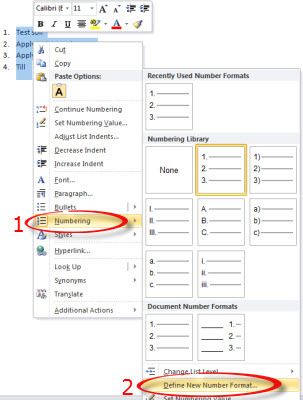 Step 4:In the Number format text box, click in front of the number that appears. Type five underscore characters and one space. Click OK. 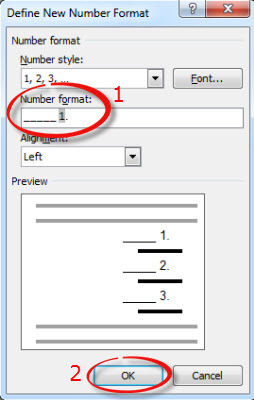 Step 5:The line will appear in front of the numbers in the document. When adding new items, Word will automatically include the lines in front of the numbers. 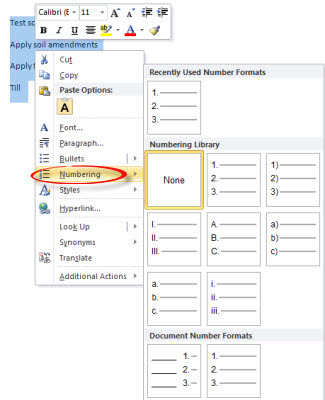 For more information on customizing numbered lists, watch this Hoonuit video.